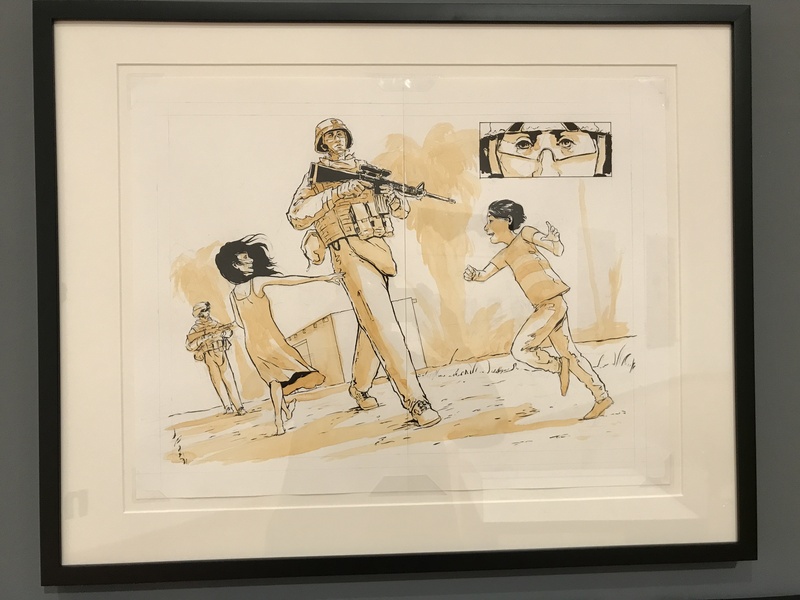 I wandered into Rutgers University’s Zimmerli Art Museum recently and was pleased to see the work of Marine Iraq veteran-turned-cartoonist-and-graphic-novelist Maximilian Uriarte unexpectedly featured. Part of an exhibit titled Self-Confessed! 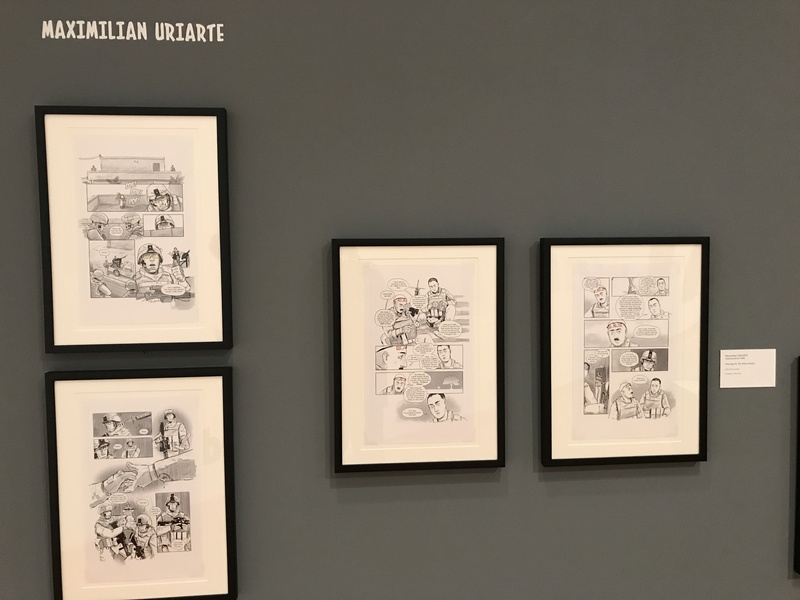 The Inappropriately Intimate Comics of Alison Bechdel, Uriarte is grouped with two other artists in support of the main attraction, Bechdel, a graphic-novel pioneer whose work explores the difficulty of growing up gay in small-town America. Alongside Bechdel and Uriarte are Thi Bui, who writes about her experience as a second-generation American, and Elle Forney, whose subjects grow out of her own life-wrestle with disability and a medical profession that struggles to help her. That’s an odd grouping on the face of it—Uriarte might be an alienated, disgruntled, and traumatized vet, but I don’t think of the politics of his Terminal Lance comic strips and his graphic novel The White Donkey as radically left-progressive as Bechdel’s, Bui’s, and Forney’s clearly are. Still, there’s no denying his skill or his influence, more so based on the achievement of Terminal Lance than The White Donkey. While The White Donkey portrays in-service disillusionment and post-deployment despair in relatively conventional melodramatic and moralistic tones, Terminal Lance practically invented the snarky “view-from-below” humor that dominates soldier and veteran online rhetoric today. Where the Terminal Lance character of The White Donkey is a hapless victim of the Marines’ dehumanizing processes, the Terminal Lance in the cartoon strips is a wily counterpuncher against the Corps’ assaults on his intelligence and his dignity, with slacking, shamming, and acts of petty insubordination his primary tactics. Taking aim at a bloated, outdated military culture and an officer corps stuck on auto-pilot, the raunchy-and-blasphemous Terminal Lance first-and-most-cleverly expressed the contempt of junior enlisted soldiers for a military machinery badly in need of not just a tune-up, but a complete overhaul. And yet, it’s not entirely clear that Uriarte, or Terminal Lance, hates the Marines. It’s as if he loves the Corps most when it shows its warts, when it deviates from its stated ideals and goals, and he feels fortunate, not unfortunate, that he is there to witness or endure it, because at some level it strikes him as funny. 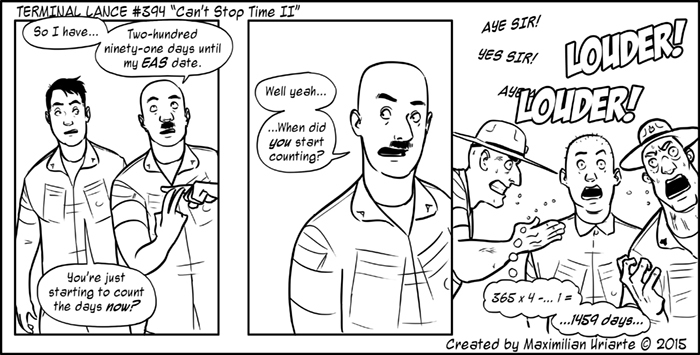 One of the least blasphemous and raunchy Terminal Lance strips I could find. 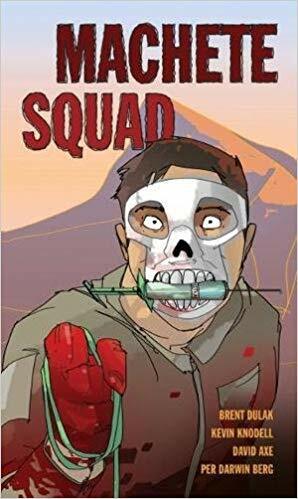 In recent decades, comics and graphic novels have embraced history, medical and self-help literature, stories of war and history…. Each revisits the past to re-imagine not only what occurred, but also how it looked as it was happening. The process of remembering and reconstructing the past is well-served by the graphic narrative in that the structure of comics—the framing of moments, the breaks between panels, the rhythm and pacing that creates the flow of the book—are all part of remembering and telling. And for the reader, the combination of words and pictures slows down the process of reading, complicates the structure of time, and provides an opportunity to linger. 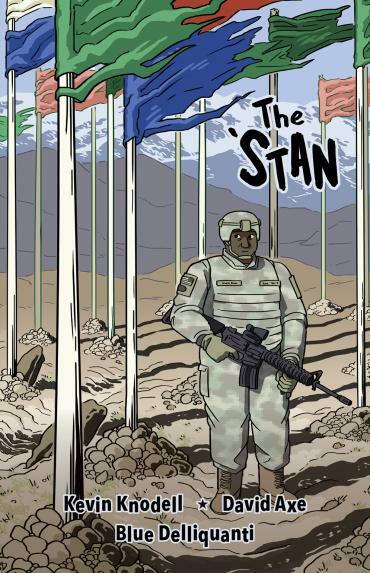 Theorizing aside, Brown makes the two graphic novels he reviews (their covers pictured below) sound well-worth checking out. Here’s to the progeny of Uriarte, Terminal Lance, and The White Donkey. Self-Confessed! 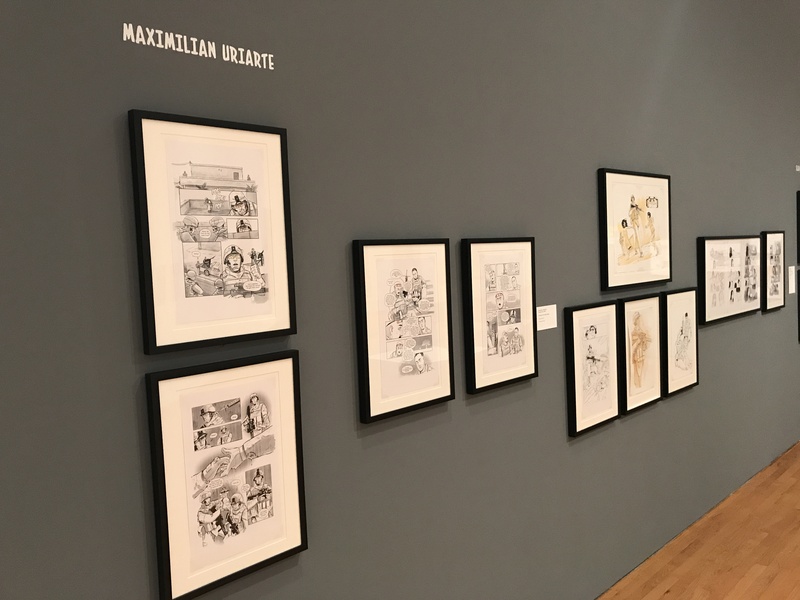 The Inappropriately Intimate Comics of Alison Bechdel is on display at the Zimmerli Art Museum, Rutgers University, New Brunswick, New Jersey through Saturday, December 30.